This app was previously called "PDF View Plugin for Jira". It is still the same app you love, but it was renamed in Sep 2018. What can I export to PDF? Jira Service Desk tickets, SLAs, organizations, etc. See more PDF samples in the Template Gallery! Click these links to get the PDF documents! Decide what information to include in the PDF. Leave what matters, remove the rest. Design the layout, add your company logo, your colors, and transform your information into beautiful documents. Go beyond the limitations of the template language. Write simple scripts to generate charts, to integrate with external databases and apps, to access Jira internals and to implement complex algorithms and calculations. Just a single click to get your PDF. Use any number of documents templates. A different one in each project. Or for each issue type. Or for each user group. Implement any switching condition to choose between your templates. Bookmarks. Embedded files (include the issue attachments in the PDFs). Hi-quality graphics (for charts and diagrams). Metadata. Just to name a few. PDF is viewable and printable virtually on any platform, including mobile devices. Do not rely on the limited rendering, printing and page breaking capabilities of the browser. PDF does it better. 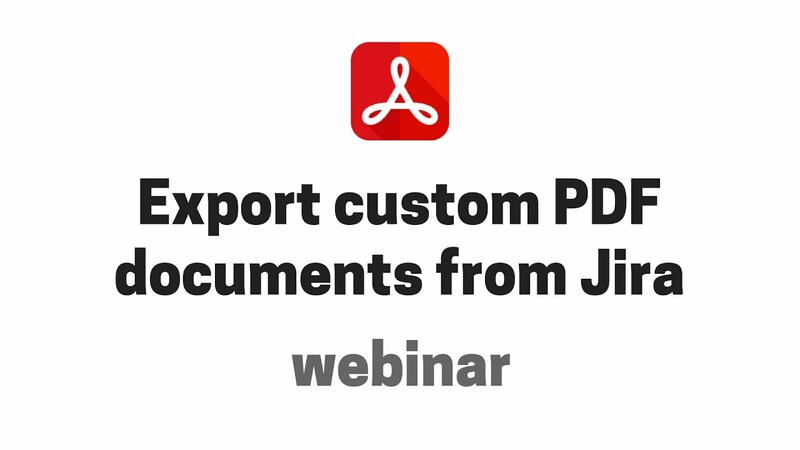 Generate PDF documents in Jira workflows, services, scripts and apps. Automate your processes with the Jira Automation Plugin. My client keeps asking me questions "can it do this", "can it do that" and shortly after consulting the add-on documentation, I respond with "yes!" This blows me away. Most Jira add-on's are nowhere near as polished and definitely not as configurable / functional. We use this add-on to create customer reports. Before we bought this tool, this was a time consuming job, which took at least one hour per customer. Now we can create this reports in a few seconds. We mostly use modified templates from those that were provided with the plugin. So far none of our client requests have been impossible. The combination of Velocity and Groovy allows you to render almost anything. 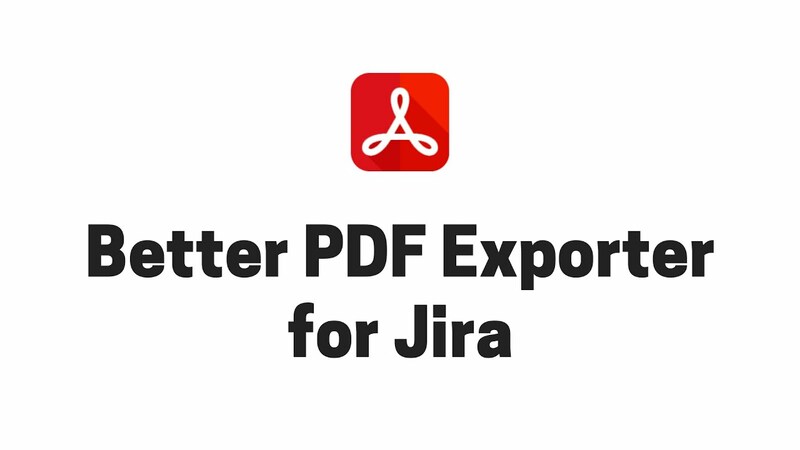 We are using Better PDF Exporter for Jira in combination with Better PDF Automation for Jira for an automatic generarion of release notes and regular business reports based on our Jira tickets. Thanks for saving our time and money! This was a very handy plugin to address a use case where we needed to export thousands of Jira issues but also include things like attachments and comments. Recommended!